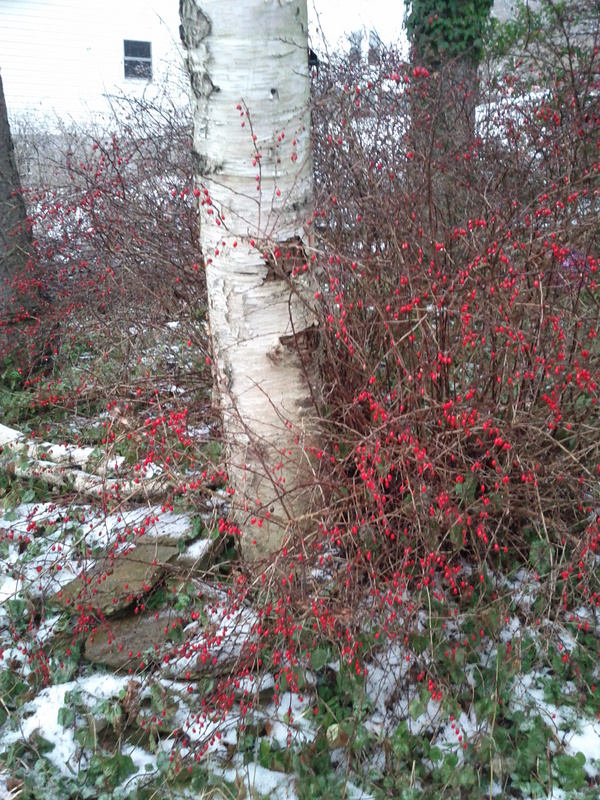 A birch tree in winter. Author’s phtoograph. If you’ve been reading my blog for awhile (and thank you if you have! I’m honored!) then you know that I follow the Urglaawe practice of setting and pursing my goals by the seasonal focus method. This has truly been the most valuable part of Urglaawe for me thus far, helping me to better myself in every area of my life. One thing that’s a challenge for me is slowing down and staying in tune with the natural cycles of the year. I always find myself wanting to jump the gun and get right into everything. But nature doesn’t work that way. Everything has its time, and everything will come in its time, and it doesn’t really matter what one impatient little human has to say about it all. When I set my New Year’s goals, I want to jump right into them, getting everything done right away. But that’s not the way the cycle works. First, you plan a path to your goals, gather the materials that you will need, decide what steps are necessary. You might need to revise, refine, and better target those goals. The world–or, at least, the chunk of it that I live in–is asleep in January and February, silent beneath snow and ice. It’s the time for the first signs of what is to come in the new year, that we celebrate during Entschanning. But it’s not yet time for planting. Despite the distinct lack of agriculture in my day to day routine, I find that my life too adheres to this cycle. Hard as I may try to push forward on my goals during the final sleep of winter, the Universe just isn’t ready yet. I find my efforts gently but firmly curtailed, as I am often too busy with what is already on my plate to make new beginnings. In other cases, circumstances will conspire to keep me from starting new things, whether it’s catching a cold, being unable to acquire some needed items for a new project, or people whose help I need taking longer to get back to me than expected. The dark half the year seems long, but it has its twists and turns as much as the bright half does. There’s the time of endings at Allelieweziel, followed by resting, and gaining insight both from both the other worlds and from contemplation. Then there’s setting our goals, making our oaths, planning the path, and gathering everything we will need before we begin. It makes sense. And it takes time. I’ve found that having the patience to stick this cycle out has its rewards. I’ve always struggled with time management. One day I’m procrastinating, the next I’m dragging out a project with perfectionism. I’ll plan dozens more things than I could ever possibly complete in a week and expect to have them done in just a day or two. But working with each seasonal focus in turn has taught me to slow down, to think about what I really want to accomplish, and to plan out much further ahead than I was ever used to before. Knowing the seasons are changing and the holidays are coming prompts me to check in with myself, my goals and dreams, my Gods and Spirits, to stay on track. It’s made a tremendous amount of difference in my life, and it’s brought me some peace of mind. It’s taught me to take care of myself first and then work hard, not the other way around. (The Urglaawe day starts at sunset, at the time of rest.) It’s taught me to consider my commitments more carefully, because where my word goes, so goes my Wurt. I feel like I could go the rest of my life into the cycles of the natural world and never fully explore all they have to offer us. There’s a deep wisdom here. Taste it and see where it takes you.